“Rohit-bhai told us about which areas batsmen will target and how to cut the angles,” the pacer said. 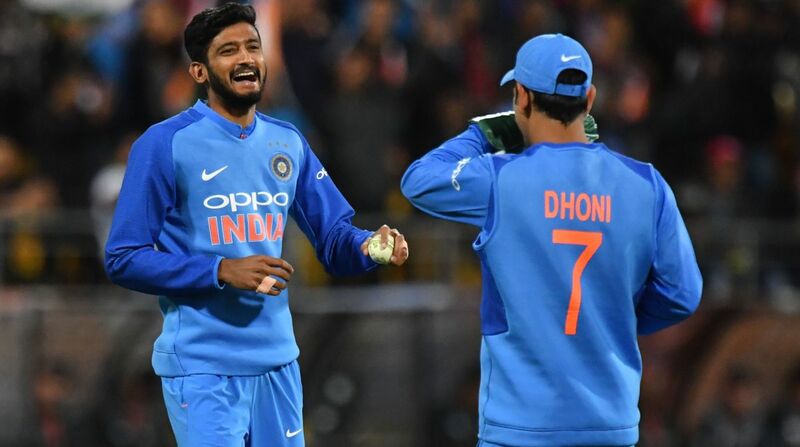 Young left-arm speedster Khaleel Ahmed on Friday said that the Indian pacers were told to bowl back of the length to the New Zealand batsmen during the second T20I in order to contain the boundaries, unlike the first game. On Friday, Team India levelled the three-match T20 series 1-1 with a thumping seven-wicket victory over New Zealand. In the series opener Khaleel conceded 50 plus runs in his allotted four overs. However, the pacer came back well to finish with figures of 2 for 29 in the second match. While Indian bowlers conceded 14 boundaries and eight sixes in the first T20 match, they were struck for only eight fours and six sixes in the second T20I. Khaleel also said that the stand-in skipper Rohit Sharma was giving inputs to bowlers as the Eden Park ground has different dimensions and the angles are not like other grounds. “Rohit-bhai told us about which areas batsmen will target and how to cut the angles,” the Rajasthan speedster said. Speaking about challenges encountered by pacers coming to New Zealand, Khaleel Ahmed said that it was bowling into the wind.